I am a Systems Administrator. This means I can discern what part of an infrastructure is doing it wrong while the building is on fire without spilling my drink. I also have strong opinions about community and if asked to will wax on about paradigm shifts like cloud computing and configuration management. As open source software is the Right[tm] way and Good, I make a point to contribute and spend a lot of time thinking about how to leverage the core values of the movement in other projects. I used to write about this in the usual fashion on a blog. I hid my old resume as linkedin is more up to date and I'm heavily emotionally invested in Chef and our community anyway. I grew up in a small town in the woods and keep relatively close to the earth as a matter of principle. This has also earned me a self-reliant streak. Consequently, I am a useful person to have around and having realized this I volunteer my time to a slew of organizations. Thus, I can sometimes be found in unexpected places. I tried writing up some of my projects for a while. I lived in Seattle for six years. Beside building my career and meeting a lot of great people through technology, I got involved in bicycle and mass transit advocacy, and helped start an urban farming collective called Alleycat Acres. 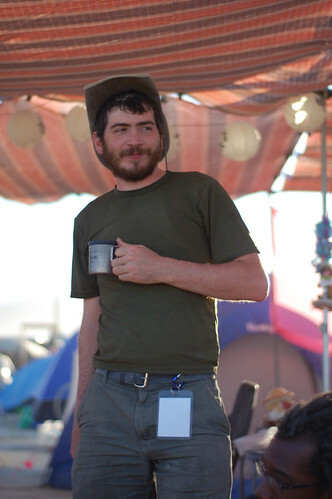 Building on my experience volunteering at the Common Ground Country Fair growing up, I got involved solving logistical issues for events like Shmoocon, Toor Camp and Burning Man. I also volunteered as a disaster services responder and emergency radio operator for the American Red Cross. After my father passed away, I moved back to my hometown of Surry, Maine to be near family. While continuing to do tech work remotely, I'm also settling down into working on the family tree farm and flying again. I'm involved in the CGCF fair again, as a communications, traffic and parking coordinator, as well as a member of the fair steering committee. I serve on the board of directors of The New England Museum of Telephony. I'm a lieutenant, communications officer, engineer, and certified structural firefighter for my local fire department. Outside of work, I spend a lot less time online these days. I run an online store with some friends selling heat pumps. Most of my remaining downtime after the aforementioned hobbies is spent with my wife, young daughter, and our families. I believe we can combine information with technology to make our lives better in interesting and useful ways. Thus, the internet knows a lot about me. Some parts of it are a bit old, while other parts may let you know what I'm up to right now. Consider this the index to a hall of mirrors. It is commonly accepted among people that aren't fools that you can build better systems in the open than behind closed doors. You have to be able to gracefully accept criticism and have patience for misunderstanding, but the ends justify the means. If you have gotten this far and are still interested in learning more about me, I keep my personal journal open to the public. It's been pretty stale since I met my partner and we take care of each other pretty well. While I've decided that the cost of any consequences there are to my openness are worthwhile, I can't make that decision for other people in my life. Accordingly, names are often reduced to a single character and as I know many people, this habit provides adequate ambiguity. Of course such writing is usually spurred by emotion and ends up lacking context, so I would recommend consuming it through a lens of humility.